MegaExcel is an add-in to Microsoft Excel designed for management consultants, enabling them to build well-structured, well-formatted models much faster. Additionally, it presents a unique structured training framework to help new consultants to quickly get very good at modeling. I built MegaExcel in 2008 as an Associate at Booz & Company. You can download a sanitized version of the MegaExcel Add-In Here. "Just got the impressive Booz MegaExcel Tool Kit incl. a quick intro from Andrea. This will, without question bring a step change in using Excel efficiently at Booz." "Thanks for all your work on this - looks very impressive." "Just received and installed the mega excel toolbar ... plus had an additional little intro by andrea! honestly: great stuff!!!! must have taken you ages to put together such a helpful reference kit!!!! thanks a lot from a happy future user! ;-)"
"First off - well done. I've had to help untold numbers of associates - and partners - with some of these same data cleaning and pivot table methods. I know very little aboutacros and VB; you've done an impressive job of brining it all together. Thank you and congratulations again - this will be a lasting legacy for sure! I'm still putting it through its paces, but everything looks great!" "I just installed the MegaExcel add-in. Great work!" "Really liked the pace and "advice style of delivery" - guidance rather than direction Thanks for putting the MegaExcel tool together and for running these workshops - overall excellent." "I successfully installed everything---no problems---very smooth. Nicely done!" "Congrats on the new Excel Mega Toolbar! This looks really good." "Thanks for the excel guide, it looks great"
"Thanks and good training. Why would I have not received this in the past? " "Thanks for putting this together. Some great advances, particularly in power point." "I am very impressed with the tips, etc." "Warm regards, and thanks for an otherwize excellent upgrade"
"Your Excel functionalities and MegaExcel Introduction is great!! Even after six years heavy consulting work I learned a lot new things." "Over the last weeks, I used the new version of the toolbar and it works fine. Especially the Ctrl+P = Print again is really helpful :) Otherwise it is great tool, now even better than before. " "Thank you so much for all of your hard work in putting together the Excel macro add-in. I'm sure it is going to save me and many of our colleagues tons of time." "Your toolbar does a lot of cool stuff and is very useful. I've been working heavily with Excel for 9 years now and it is hard to find something new that I really like - your toolbar is one of these rare new things I like. Good job!" "Just installed the Booz Mega Excel and it is a very impressive piece of work so congratulations!" "Thanks for the Excel Guide, very useful." "First of all congratulations to your fantastic tool! I am sure now everybody wants to learn more about it. :-) Could you let me know your thoughts about conducting the training sessions? "Thanks for doing the excel prep, it was sorely needed by many and tremendously appreciated." "Compliments on the great work. I especially like the approach to standardizing business cases." "Thanks again for the presentation on Friday. That really was helpful for me - and I'd just like to follow up that I think it could help us with recruiting. I don't remember getting a good Excel pack at Sloan like you gave us - with a quick PowerPoint and reference guide to the shortcuts and types of things to learn, functions, etc. Would you mind if we were to share that with people outside the company? It can just be an informal email from a recent grad or current student. It can't hurt for you to get known as an Excel guru by a wider audience either." "Have been using the new toolkit. Just wanted to let you know that it's great and the help files are really useful. Thanks!" "Just to let you know, I have installed the new toolbar. The color palette swap was a life saver - one of my models had switched from Booz to default somehow (with very ugly results), and it would have been a nightmare fixing all the colors manually before delivering to client. Thanks for the well-timed update! I really enjoy the toolbar, and there are a few things that have saved me a bit of time, e.g.. the control+N feature." "This is great, I agree with all of the guidance in here." "Great work on the presentation. This was very helpful." "Thanks for conducting a highly informative session. I used to think I was an advanced excel user but still learnt a lot. Your idea of having the right attitude is spot-on. In my experience, I have learnt by just using Microsoft help and that was so much more cumbersome than the guide you have created. Kudos!" "Great presentation and very valuable tips and tricks." "Good stuff - finally getting time to use your sheet as it was designed!" "Great toolbar, so far I think its great, especially things such as being able to cycle through the % and numbers to get different decimal places." "Love it!!! Thank you for putting the nice colors in!" "Thanks for developing this tool. Quite some useful stuff in there." "Thank you for your help on this!" "The Megaexcel template is AWESOME!!! I just installed it 30 minutes ago and discovered already very nice features which I will use definitly use in the future, but furthermore: I just start to realize how much time I as a Job Manager will save... nearly everything I usually tell a newby in the inital introduction to business modelling is covered in your models and examples - and even tons of more good tips...Great job!!! so far only positive feedback: I forced my entire team to install Megaexcel and everybody loves it!" "I wanted to say thanks for taking the time to build the excel tools you have built and also taking time to provide the webinar overview of the tools. I thought my skills in Excel we sufficient until I started with Booz over a year ago and realized how little I actually was using of it capabilities." "Hi Michael, congratulations on the megaexcel. it's really great. thanks for your effort!" "I just installed the new excel toolkit, looks great!" "Thanks very much for the work on the toolbar- looks like it will be very useful." "Thanks Michael, the toolbar looks great and is very helpful!" "Firstly, great job with the Excel Add-In, a lot of us have been waiting for such as add-in!" "Just had the Mega Excel plug-in rolled out over here in Australia. It looks really good and I think your introduction to modeling will be a great help to new starters, and even to those of us with a bit of experience." 2) Be even more clear in the beginning about this session being a roadmap and not a skills course to manage expectations"
"Wow. That template is a HUGE improvement. Common formatting, structure, etc . . . it should be much easier for someone to create an analysis and then hand it over to someone else . . . and actually have a good handoff while minimizing errors, understanding and time to absorb/understand. Really cool." "I'm very new to Booz and recently had to learn how to do excel modelling for the first time. I find your Excel Add on to be very useful as it provides a quick summary of useful short cuts and introduces many best practices on modelling to 'Excel' beginners. Thank you very much for putting the program and all related documents together." "Thanks so much again for creating this great tool!" "Thank you very much for driving this useful tool!" "great job on the excel training and toolbar." "Und wenns nur das Handbuch "How to become excellent in modelling" w�re, das w�re schon wirklich klasse! 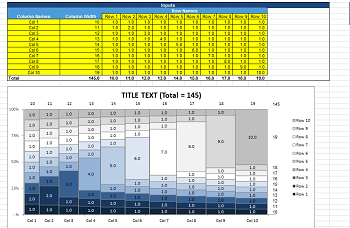 Vielleicht gibts ja eine M�glichkeit, dann k�nnte ich meine Aufregung vor dem ertsen Excel Modell schon etwas bek�mpfen :-)"
"I like the new toolbar. I see a lot of time and work has gone into it and it's quite useful." "I wanted to write to you regarding the Toolkit, I found it very useful because it simplifies the job with several customized shortcuts. I just had the chance to read through the Modeling 101 that you included that looks fine. It's just a great tool." "I have a quick question for you on the fantastic MegaExcel plug-in you've released. Firstly I have to say this is really a great addition to our Boozian laptops - I'm working with the Excel training team in the London office to ensure that all new joiners are familiar with what it can do, and have seen the excellent guidance on data cleaning and model building...thanks very much for putting so much effort into it." "I simply love the new bar..."
"Just got around to installing the add-in and it's great stuff, lots of terrific new functionality." "Great work with the Excel macro you created." "Thanks for putting together the Booz mega-Excel add-in -- it's very useful." Great work so far on the Excel Toolbar." "Thanks for developing the Mega-Excel for us! The cycle shortcuts are great, as is the template library." "The toolbar and guide looks very useful, especially for those fresh to excel (wish I had this when I first started using excel). Really like the integration of colours." "The next excel macros are fantastic as well! "control-k" for instant pivot chart made the whole install worth it right there :-)"
"Hey man, just wanted to say great job on the Excel toolkit and associated materials...looks great! ok, there's your ego-boost for the day." "Great you rolled it out! Now everyone can enjoy it!" "Nice guide to Excel Michael. I enjoyed reading it." "Great job! You have definitely made this firm a better place to work." "Hi Michael, I've just been through your presentation on how to be awesome at Excel. I felt compelled to write and say thanks for a really clear and useful document. You've managed to explain to me the major things I need to know and practice in excel." "Just wanted to thank you and the Mega Excel team - the tool is great and of great help! It also came just in time - I had just started a new model for a client... thanks a lot!!" "Your latest MegalExcel package is fantastic - thanks very much for all the considerable effort you've put in to making it so clear and useful."